Lady Gaga says she's addicted to marijuana: Is pot addictive? Lady Gaga recently admitted she had been addicted to marijuana, and used the drug to relieve stress from her life as well as to cope with a hip injury. "I was living on a totally other psychedelic plane, numbing myself completely, and looking back I do see now that some of it had to do with my hip pain. I didn't know where the pain was coming from so I was just in a lot of pain and very depressed all the time and not really sure why," she said on the Elvis Duran and the Z100 Morning Show, adding she was smoking about 15 to 20 joints a day. 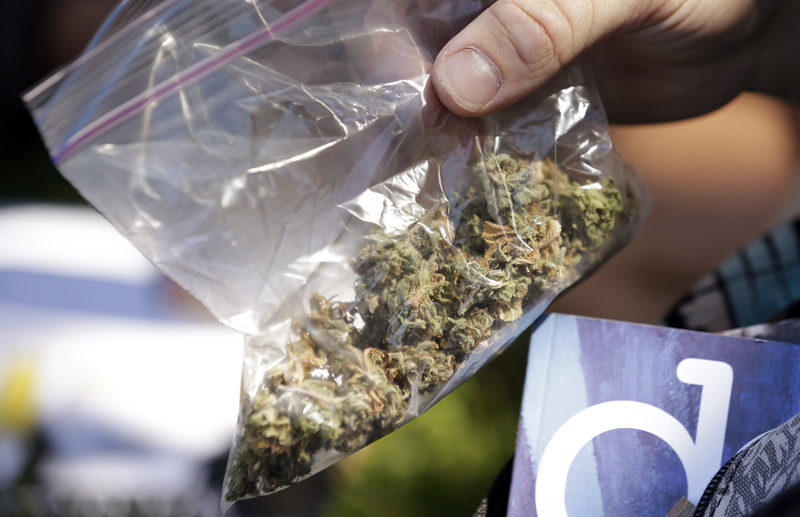 While some may dismiss the idea of a marijuana addiction, experts say it is possible. Ben Levenson, co-founder of Origins Recovery Center in South Padre Island, Texas, explained to CBSNews.com that cannabis dependence and abuse is included in "psychiatry bible" the Diagnostic and Statistical Manual of Mental Disorders (DSM) and has long been recognized as a mental health problem. Key characteristics of an addiction include the inability to abstain from using the substance, behavioral impairment, cravings and diminished recognition of chronic, increasing problems because of abusing the substance, Levenson pointed out. Not only has he seem marijuana addicts fit into each of these categories, but in the most serious cases, pot addicts who come to his center have destroyed their family and social relationships, are in serious financial trouble, show signs of memory impairment and have emotional issues due to abusing too much marijuana. "We see all the core things that we see with other drug addicts," he explained. "They literally spend all their time obtaining marijuana, smoking marijuana or recovering from marijuana." Dr. Margaret Haney, director of the Marijuana Research Lab in the department of psychiatry at Columbia University Medical Center, told CBSNews.com that about 10 percent of marijuana smokers will develop a dependence to the drug. "Its not leading people to steal their grandmother's television set to buy drugs, but it becomes difficult for them to stop," she said. This dependence could potentially affect a lot of Americans: Marijuana is the most commonly abused illicit drug in the country. About 17.4 million Americans admitted to using pot the month prior to being surveyed for the 2010 National Survey on Drug Use and Health (NSDUH). The survey determined that out of 70,000 Americans over the age of 12, 7.3 percent reported using pot. Traditional arguments against marijuana's addictive properties have focused around the idea of whether pot is physically addictive like heroin and opioid drugs, which lead to tolerance and withdrawal effects in users. Haney said that psychiatrists no longer make a distinction between biological and psychological addiction because both can have equally detrimental effects. There is a biological basis for pot addiction, adds Haney, whose research focuses on marijuana withdrawal symptoms and potential pot addiction treatments. She said that many chronic pot smokers -- meaning they smoke at least once a day -- will experience trouble sleeping, irritability or anxiety and notice their food intake decrease when they try to quit. She noted that habitual users who smoke on the weekends or a few days of the week will probably not experience these withdrawal symptoms. Research also shows pot physiologically affects the brain. Marijuana's active ingredient, THC, targets areas of brain cells that affect development and functioning, known as cannabinoid receptors. Typically, these receptors are activated by naturally occurring chemicals in the body. Cannabinoid receptors are found in the pleasure, memory, thinking, concentration, sensory, time perception and movement coordination centers of the brain, which is why smoking pot affects these abilities. Haney says many of those who seek help from the Marijuana Research Lab are worried about health consequences of smoking too much weed, find their pot smoking habits are affecting their work or are embarrassed because they continue to smoke in front of their kids. Many people who come into Origins are addicted to more than once substance. Levenson estimates that 75 percent of the people who come into Origins have come had significant experience with marijuana, and the majority of them have marijuana dependence. Gaga admitted that she had a history of addiction to other substances and she "lily pad(s) from substance to substance" when she gets to the point that she can't get the effects she wants anymore. "I do put that pressure on myself; I have to be high to be creative. I need that, that's an error in my life that happened for over 10 years. Can I be brilliant without it? I know that I can be and I have to be because I want to live, and I want my fans to want to live," she said. Levenson however is cautious to call marijuana a gateway drug, but emphasizes that it is prime for cross addiction. For example, he sees many patients who became addicted to marijuana in college and had their grades slip, and are then prescribed Adderall. Soon they are addicted to something stronger. "Instead, they pick up a stimulant," he pointed out. "They are swapping one intoxicant for another. Everybody thinks this is good. All we're doing is switching chairs on the Titanic." While marijuana might not seem as dangerous as other drugs out there, Haney argues that the addiction is just as real. "Would you argue that cigarettes aren't addictive? That those don't lead to the same behavioral consequences that alcohol or cocaine would or could? It doesn't mean for the individual it isn't a problem, and that's why they do seek treatment," Haney pointed out.